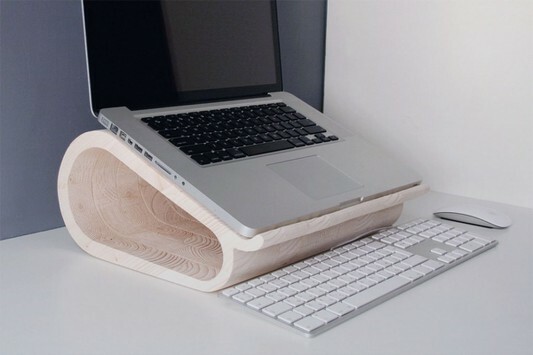 An interesting accessories to put your laptop, made of curved pieces of wood shaped and very creative. 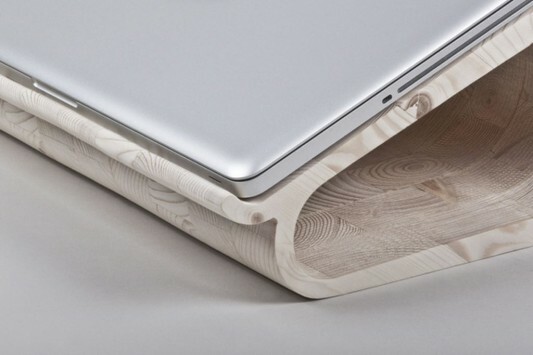 Wooden laptop stand is designed by Lesha Galkin for Dupludo Collective. 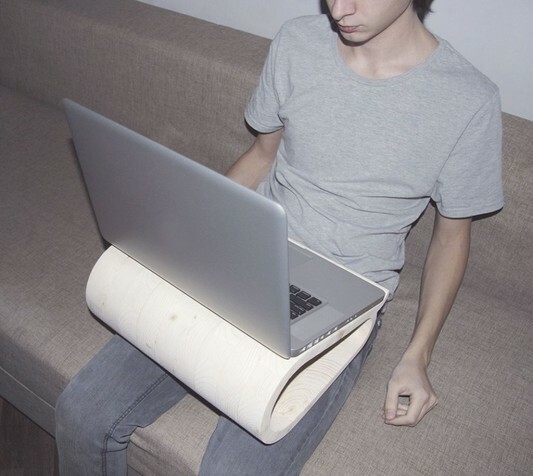 You can use it on your lap or on a table with a very comfortable position, and fun. 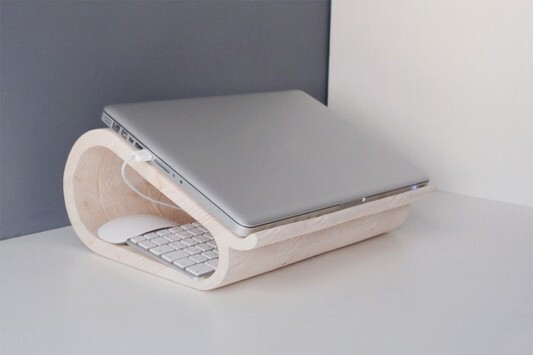 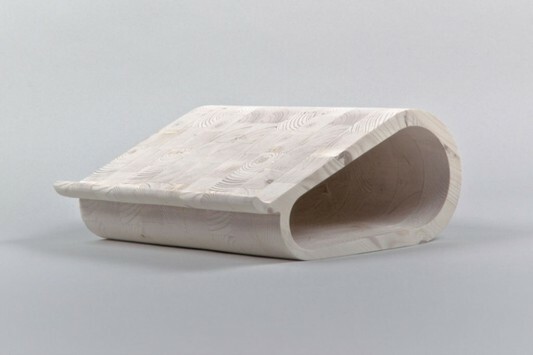 Section cavity with curved wood forms on this furniture can be used to store a portable keyboard or mouse when not in use. 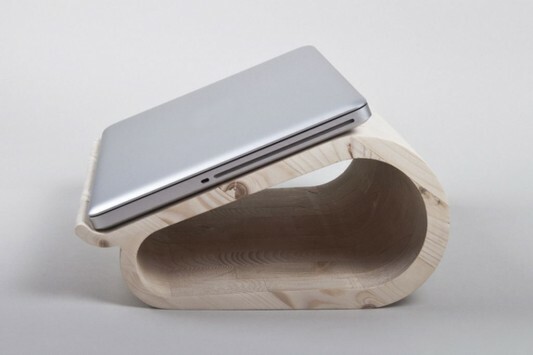 This laptop desk in the shape of the remnant piece of wood with clean lines, united in a prominent and curved shapes, creating a strong design for a desk or lap. 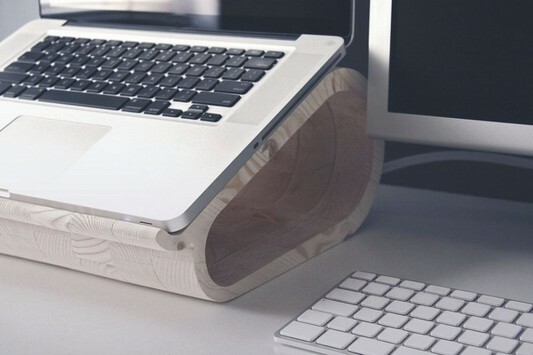 This collection can be a solution to your workspace needs a compact and portable. 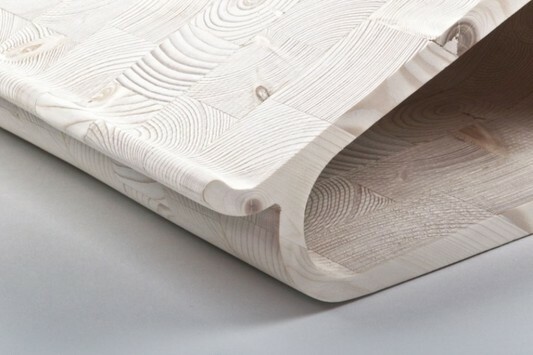 Visit Dupludo for detail information.